GiveWell started with a simple question: Where should I donate? As a group of eight friends, employed in the finance industry and researching these questions in our spare time, we discovered that finding the best giving opportunities isn't a part-time job. The issues charities address—from fighting disease in Africa to improving education in the U.S.—are extremely complex, and useful information about what different charities do and whether it works is rarely publicly available. When we asked private foundations to share what they'd found and help us with our decisions, they refused. We believe that information about how to help people should never be secret. We also believe that small donors matter. Small donors help charities develop broad, diverse bases of support, which provide stability for charities to plan and grow. 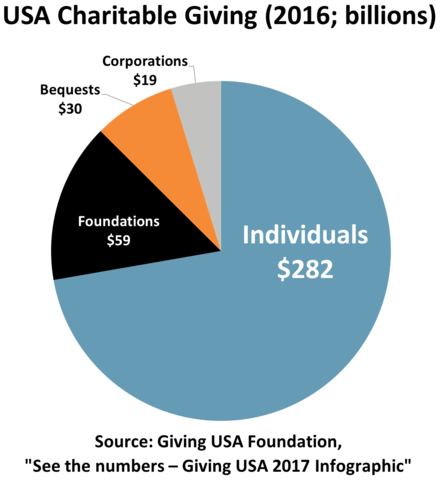 And if we guide even a small portion of individual donors—who are responsible for the vast majority of giving in the United States—to the best giving opportunities we can find, we would signal to the international aid sector that effectiveness, cost-effectiveness, and transparency are important to donors. Ultimately, these actions could help change the rules of the game: We picture a market that rewards charities for their ability to help people, not just for their marketing. In 2007, two members of the group, Holden Karnofsky and Elie Hassenfeld (bios), left our jobs, raised $300,000 in startup funds from former coworkers who believed in us and our mission, and started GiveWell as a full-time project. The full history of our progress and business plans, detailing our efforts since then, is available on our progress page. Notably, we incubated the Open Philanthropy Project at GiveWell, which became a separate entity in June 2017. You can get a more detailed, referenced version of our story here.